I used to shop at the only organic food store in the vicinity of where I used to live. They certainly had quality fruit and vegetables for the most part (most of the time, at least), and I was thankful to have such a place to do my shopping (at a time my health was not right, and I needed a reliable source for quality produce). But, I spent far too much money on simple food-shopping, and was essentially pauperising myself in order to eat healthily. Eventually, after one too many sub-standard five euro cauliflowers, I decided I could not afford to shop there any more. And, after discovering a new methodology around which I could organise my eating and shopping habits (to be further elucidated at a later date), I figured it was not a good idea to waste money on overpriced goods when I could shop elsewhere, eat just as healthily, and spend much less on food of a similar quality than I had previously been doing. The evolution of the stocks of Supermarkets in my locale corresponding with my need to not pay the extortionate prices often charged for fresh produce in health-food stores was just a happy coincidence. 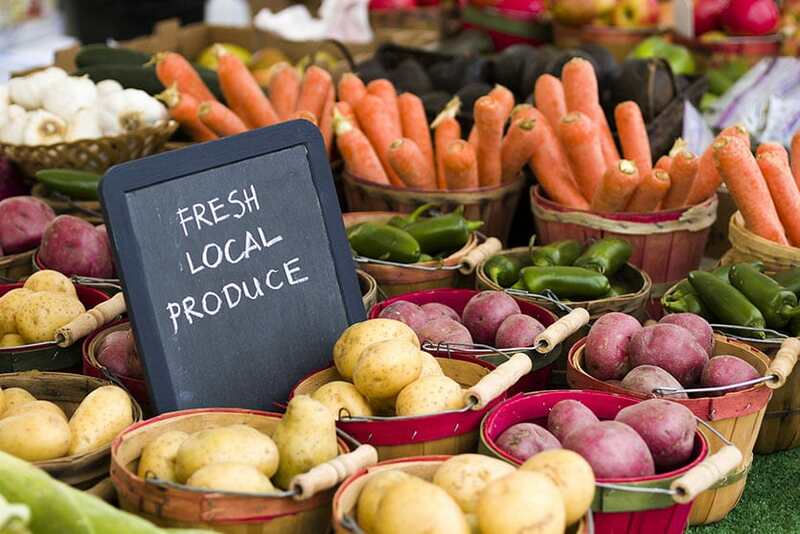 Another life-saver for me in my attempts to live a more frugal healthy life has been the resurgence in the popularity of Farmer’s Markets. The Farmer’s Market is great because I can get the best quality, freshest produce, but at a better price than I am getting at a health food store – generally by a considerable enough margin – because the costs of running a stall at a farmers market are a fraction of the cost of running a fixed location business in the city center, or any built up area for that matter. One thing I really appreciate about the Farmer’s Market is that you are often dealing with individuals who run their own businesses. People running their own small business appreciate regular customers. If you are a regular with someone at a Farmer’s Market, it is not uncommon to get favourable treatment, and even discounted prices. If are a regular customer in a regular shop, you generally get treated like everybody else. And, special treatment aside, pricing is generally far better at the Farmer’s Market. And, even though the Farmer’s Market wont usually beat the Supermarket for price, the quality is almost always the very best you can get. For me, it is all about finding the best quality for the best price. For example, the avocado that cost almost two-euros-fifty in the health-food store I used to shop at will cost a maximum of one-euro-fifty at the Farmer’s Market, and will be as good, or superior in quality. But, I can get an even cheaper avocado in Tesco, for about one euro, that will be of good quality, but just not as good as the quality generally available from the other places I can get my avocados already mentioned. There is much to consider in regard to our dietary choices, which which very clearly impact our financial and physical health. It is up to each of us as individuals to decide what exactly it is that we deem most important: Quality, or cost. Why not get the best of both? Eating sensibly should not have to cost an arm and a leg. Shop smart – and it doesn’t have to!